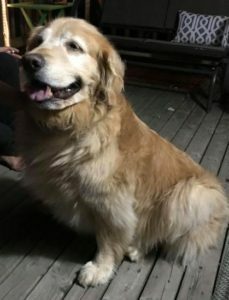 Additional Notes: FEMALE: Golden Retriever, senior,wearing a purple collar, no tags. Very friendly. Found roaming on Sept.4/18.